Hi, I am trying to find some information on Hallenbeagle mine and its use by bats. There is a development going ahead and I have some information that the shafts are being used by bats. If anyone has positive proof would they urgently forward? 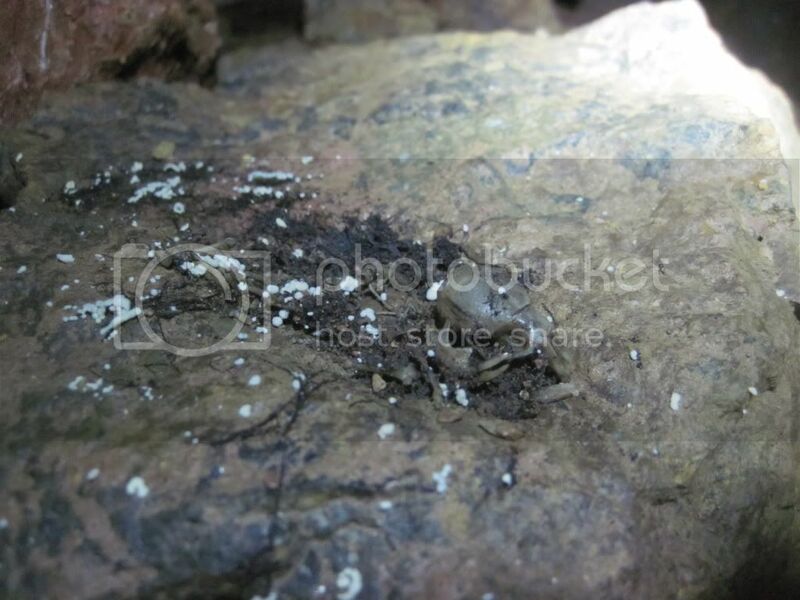 I can get some pictures of some bat remains and some piles of guano for certain. Whether or not it is currently in use is a different matter, the metal cone over the shaft was covered with a tarpaulin in order to stop the ingress/egress of bats by the developer. This has currently been removed and the shaft is open (and safe) per usual. 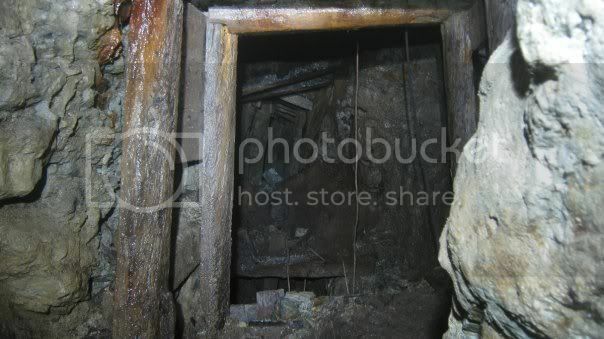 It is the only shaft open on the mine sett (I haven't looked at Piningers Shaft, but it's probably sollared/backfilled per the rest of them and then coned in the 80's. I have asked for the coverings to be removed, which should have been done by now as they were placed there without a licence. If you could supply photos of evidence, droppings, areas were bats ‘hang’ (old timber etc) that would be brilliant and may help to get a suitable ‘castle’ installed. You are allowed to photograph a bat provided you do not disturb it i.e. use bright flash etc. If you are really worried about this let me know (is there private message function on this forum?) and I will advise more. What I would recommend is that anyone who goes underground that sees bats, reports their presence to the local records office, ERCCIS in Cornwall. Any development should contact the records office before works are considered. It is unfortunate that there is a myth that the presence of bats will stop groups entering mines, although if a nursery roost access may be restricted, this is not the case and their presence may help to keep mine workings open. Stiffy - there is a Private Message option on the left side of every post which sends a message to the author of that post. Re access to sites with bats, in theory everyone gets on fine with the Bats Underground code issued by BCA/Natural England. Unfortunately there are individuals, including (apparently) NE officers, who believe that cavers/mine explorers should not be underground in sites with bats. I have been told that one individual was threatened with prosecution by a NE officer if he led groups into a particular large mine in Devon which sometimes is used by one or two bats. Also a landowner in West Cornwall told me he had been asked not to let people into mines on his land, "because there might be bats there". I have a photo of (what I presume) is a dead bat which was taken down Hallenbeagle several months ago. I saw lots of droppings but I don't recall any live bats, although there were all of the usual potential roosting spots they like, and I often see bats one trip and then none at all a few weeks later in the same mine, so having not seen a live bat on this occasion cant really be seen as proof of there being no live ones there. As a rule I don't take pictures of them anyway, I had thought that disturbing them was illegal, we tend to steer clear of them. Edit: It's a bit big, you may need to click view image. We popped for a look around today as the non-travellers have been moved on and got to have a look at Piningers shaft, which was formerly inaccessable due to nasty dogs, etc and when we got there, the very large metal cone over the shaft was wrapped in an old tarpaulin, persumably to keep bats out, as the other open shaft the other side of the railway. I will post photos of this tomorrow. You can probably make the cone out on google earth as a big circle. It is totally unbelievable that open shafts could be wrapped in tarpaulins to stop the entry (exit) of bats in order that the planned development is unhindered by open shafts. Since the developers and owners are so bloody important, it will be interesting to see who takes the "wrap" (geddit) for this. Report the developers to NE... Word of advice here... don't post any pictures with bats in them as it's illegal to photograph bats without a license. We took the one off the other shaft a while ago but I left this one as it has clearly been like it for ages, I'm sure the people who go and have a look would like to see how it is. My reasoning for putting this up publicly is that I expect this will be swept under the carpet and all the shafts plugged per-plan, which will expose the environmental protocol for the paper tiger I suspect it is. I'm looking forward to them sorting out the engine house and doing something useful with the site, however sidestepping important environmental considerations via this sort of thing is unacceptable IMO. I bet you a Philps pasty (large, and you have to eat all of it) they will do what they like without so much as a whisper. "Well, since you plugged them already, hold out your wrist for a slap". By the time the manager's manager's manager's left handed lesbian trombonist diversity consultant has agreed on a method statement from the department for European affairs, via the legal people and then via a very lengthy process of very serious letters and perhaps a not-so-serious phone call, the whole place might have passed the final snagging and be tarmacced by then. Similar things happened years ago in the car trade re the Trade Descriptions Act and the 'clocking' of cars. Initially things went on as they had allways done. Next came the first prosecutions and paultry fines. Offenders just lauged it off and carried on. Next repeat offenders did jail time. Then it all stopped. By the way, its not illegal to photograph a bat, providing you dont use flash. Its all on the Bat Conservation Trust website. Having seen some pretty damn unbelievable things happen in Cornwall, I would be surprised if a combination of landed gentry and some big EU fund willy wavers can't bowl all the naysayers out of the way. It's about dynamic creativity, celebrating diversity in a multicultural european context, finding genuine synergies in a new paradigm, etc, etc. Would you question these guys? If you did have the nerve, one of them might play golf with your boss, where would that leave you? It wouldn't take an intelligent PR man to come up with such a creative, dynamic or sustainable excuse as that one. I expect they will say "Sorry guv, it was always like that". Will try to inform Bat surveyors via a 3rd party, but they may have already seen this via this site. Meanwhile I'll be keeping an eye on what goes down on the new Tuckingmill to Leisure centre link road in terms of bulldozing over shafts, wildlife, bats. But will put this on an another thread/topic rather than divert this one. Not an excuse,more a statement and question. The big cage has no access through it, even a missing bar. In order to access it, you would have to cut a bar. It would also suggest by the "danger mine shaft" signs surrounding the shaft that going inside the cone was potentially a bad idea. It appeared very flat to me and I'm not sure what the floor is made of. There are bits of mesh covering the floor in places...not sure if this is waste, or what. The other cage, covered over in a similar manner was also put in by operation minecap in the 80's and was also covered over by a tarpaulin. This was wrapped in a similar manner over an existing hole in the cone which covered an open and approx 120ft deep shaft with 5 levels off it. Those cheeky chappies had been crapping down a shaft at Wheal Daniel, but the most simple reason tying these phenomena together are that "someone" was attempting to stop the flow of wildlife. Who this is and why they would want to do it would either appear, in light of a lack of evidence to be. 1. The developer of the site wishing to not consider habitats. 2. Someone doing a modern art installation. Whoever reported the covering on the shaft and possible exclusion of bats to Natural England resulted in my receiving a call from the police and a site visit. Although I am not sure when the tarpaulin was removed but the shaft is open for use by bats. The police officer is going to report back to Natural England advising that as the shaft is open no offence has been committed. I know there has been significant discussion and communication by several departments at County Hall, as well as the Police, Natural England to name a few. I am aware that there was a significant planning "anomaly" which was being pursued in detail. I have bet myself 3 pints that I will pop up there for a look and find capping has either been done, or is underway and then when I contact "the relevant chaps" that all the boxes were found to be ticked and everything was fine.